Welcoming New Additions to the JFR! The JFR is pleased to announce the arrival of some new additions to the office. Ben Kamelhar will be the new education intern for the summer, and Kim Nates will be joining the JFR as a volunteer in the development department. After spending a gap year in Israel, Ben will enter NYU this fall. Originally hailing from South Africa, Kim graduated from Brown University this May. Welcome to the JFR Ben and Kim! As the 2010-2011 school year draws to a close, the JFR would like to thank its two high school interns, Shaquira and Camille, both juniors at The High School of Fashion Industries, for all their hard work this past year! We have so appreciated your help and efforts! We wish them a wonderful summer. 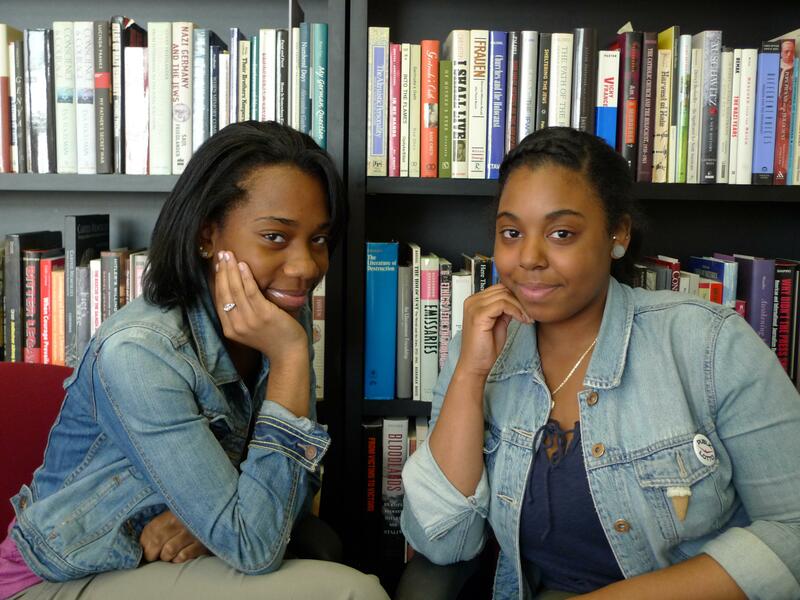 Shaquira (left) and Camille (right), our high school interns.